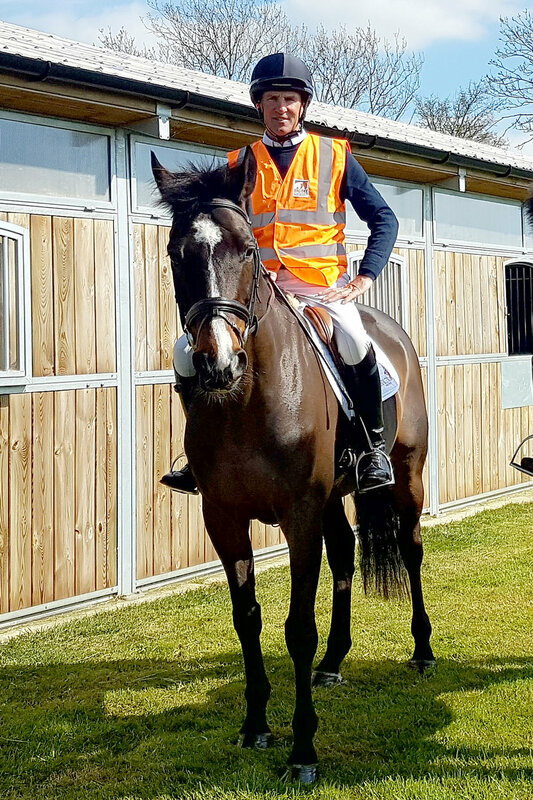 Following the launch of the campaign, Brooke's ambassador Major Richard Waygood MBE, tells us all about his own horses. How many horses do you have on your yard? I normally have anywhere between 10 – 12 horses on the yard at any one time. Each of the horses will each come with their own stable name and competition name. Much like Valegro is known as Blueberry around his yard. Do any of the horses have any quirky personality traits? Prospector Joe who we have on the yard at the minute has a sense of humor and joined me in a video we made for Brooke's #MyHackathon. He’s a thoroughbred and likes to act like one – especially in the warm-up arena. I’m lucky to be sponsored by Saracen Horse Feeds so the horses on the yard always have a supply of good quality hard feed and hay. They're all partial to carrots too. Do you have any tips on keeping your horse healthy? We have a regular worming policy on the yard and we always make sure the paddocks are kept clean. The horses also have their legs checked every day. As soon as the weather is nice they're all turned out daily. My top tip for keeping your horse healthy is to get to know them so it’s easy to notice any unusual peculiarities. For example, know their normal temperature at rest and make sure the horse has a routine. Horses and people are the same – we all like routine. What do your horses get up to when they’re not working? All of the stables have grills so they can communicate with one another. They also always get turned out together so they have the feeling of living in a herd. Each stable in the yard also has top doors so they look out – this is very therapeutic for them. The fact that working equines not only benefit from Brooke’s work but also the humans who depend on these animals benefit too. Brooke’s work is designed to have longevity with the end goal being that the animal carers take ownership of the welfare and wellbeing of their working horse, donkey or mule.